The manual folding step is pulled out and pushed in by hand. All manual folding steps have painted steel or aluminum parts. The step is made of anodized aluminum with safe rounded edges. For most of the steps, the side plates are painted aluminum as well. 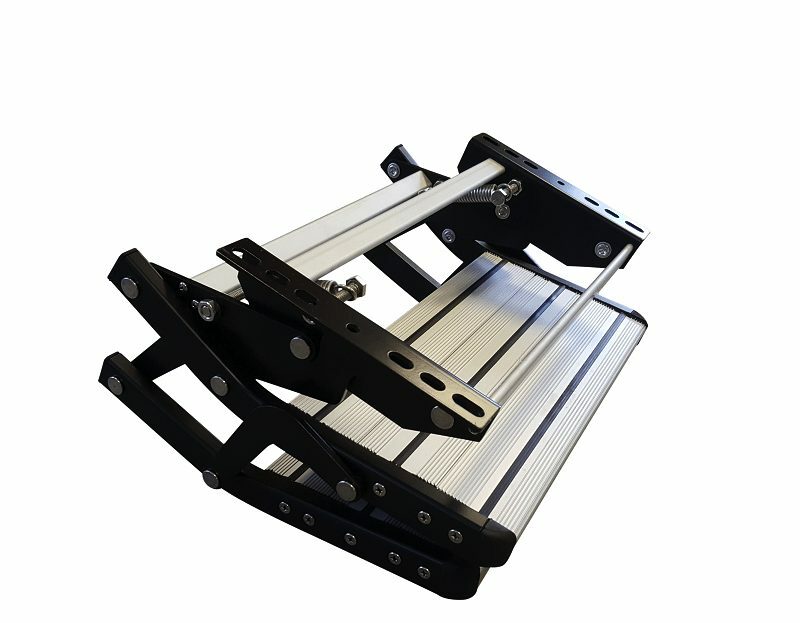 The manual folding step is a unique extendable step to be fitted to the caravan. The step is opened and closed by hand and stays locked in the open or closed position by means of a spring system. The manual folding step slide-out is easy to install and it does not take much time. 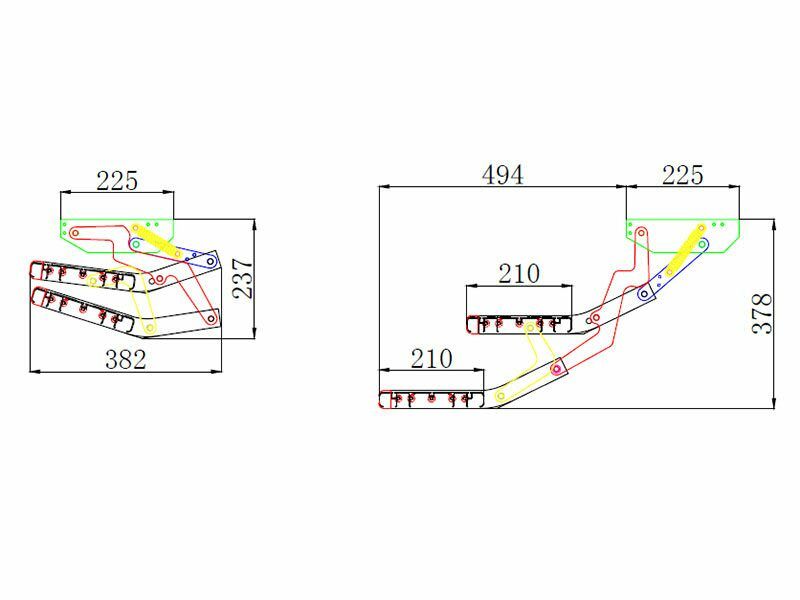 To make the step fit any type of chassis or to determine the height of the step, the installation brackets can be put in different position at the time of installation.